like "Sustainable and Eco Fashion". For the last few years this company showcased unprecedented commitment and willingness to go above and beyond to meet the highest environmental and sustainable standard. Following its mission H&M made another step: Collaborated with Beyonce to produce great new collections. Their Summer 2013 collection features many of Beyonce's own ideas and her personal style. So, whether or not you are going to H& M just simply because they are trendy and inexpensive or because you are a huge fan of Beyonce, you definitely get an added benefit because you happen to do good for environment. Don't forget to give yourself a credit, be proud and call yourself an environmentalist! That is probably bit of a stretch, but still! 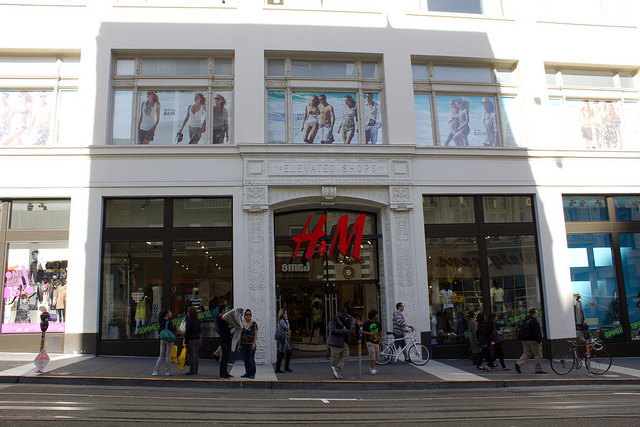 H&M does more than just create great fashion; they're also very environmentally conscious and just publicly released a list of their suppliers, which many retailers refuse to do, according to Forbes . They also have a Don't Let Fashion Go to Waste campaign where you can bring in your old clothes and get a voucher for 15% off something new. The old clothes are then donated to charity; H&M has donated 3.2 million garments so far. They're also trying to save water by using water-saving production techniques in creating their garments and conducting factory audits. Labels: Beyonce and Eco Fashion, Sustainable fashion and Beyonce.